After a bloody Monday in which General Motors announced it will idle four U.S. manufacturing plants, the automaker issued a statement in an attempt to calm high-running tensions. The portion that suggests workers will have transfer opportunities should give production workers at the Lordstown and Detroit-Hamtramck some peace of mind, but the United Auto Workers union has already vowed to fight the plants’ expected closures. It’s also hard to picture a scenario where each one of the thousands of laid-off workers find a new job at one of GM’s truck or SUV plants. 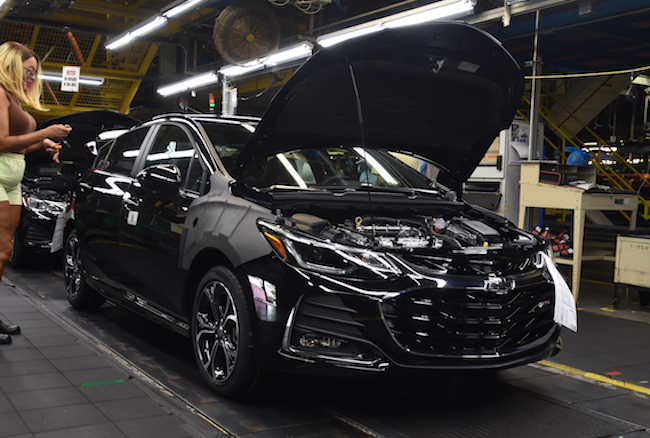 Monday delivered the news that GM will cut the Chevrolet Impala, Volt, Cruze, Buick LaCrosse, and Cadillac CT6 from its U.S. passenger car portfolio. In the process, the two plants responsible for the models’ production will go offline. GM can’t simply close up shop, however. Per UAW contracts, GM will need to successfully negotiate their closures. Both GM and the UAW will hash out a new labor agreement next September. Analysts have already speculated that the idled plants may be a major bargaining chip for the automaker. GM could leverage the plants as a way to cut labor costs and install a greater number of lower-wage production workers. GM plans for 20 new electric cars by 2023, and both production plants could potentially retool for their production. However, even if Lordstown and Detroit-Hamtramck close, the automaker will still operate four car plants that run underutilized. Next story Where Will the Cadillac Blackwing V8 Go Next? Imagine if there was no UAW. GM would have locked the door and told workers hit the road. In the short term at least, GM wants to be a smaller, leaner company that employs fewer and sells fewer vehicles. No problem, we hear you loud and clear. Plenty of other options out there and some very appealing new product coming soon from others that are assembled right here in the USA. Jeep Gladiator pick-up, Ford Ranger and Ford Bronco to name a few. You are being much to hard. GM is coming out with that amazing Cruise and don’t forget the electric bike they were too stupid to find a name for! The trend is for manufacturing to leave the US and nothing will slow this down. Trump just caved to China who are setting record trade deficits every month. China are moving any purchases away from the US. You see they’re very smart. That’s how you win a trade war. Why is it tha a little country like Japan can have a dozen car company’s an Big Ol USA can barley hang on to two? Is it greed,poor management,complacency, lack of foresight or all of the above? VCAT, you would think we lost WW 2 with our lack of national pride. Maybe the book and Netflix series Man in the High Castle isn’t to far fetched. The disinformation propaganda campaign is in full swing. Hey GM, can we have a pair of boots with that BS? Transfer American workers to Mexico to work…? The new Mexican BMW plant pays $1.37/hour and full time permanent workers get approx. $2.35. You can buy plenty of corn flour and fried beans for that dough. At GM we are committed to a stronger manufacturing presence in the United States. Until we can find someone that will work cheaper. There will be no more layoffs at factories in the United States. Until we build more factories in Mexico. We will continue our partnership with the UAW. Until the current contract expires. 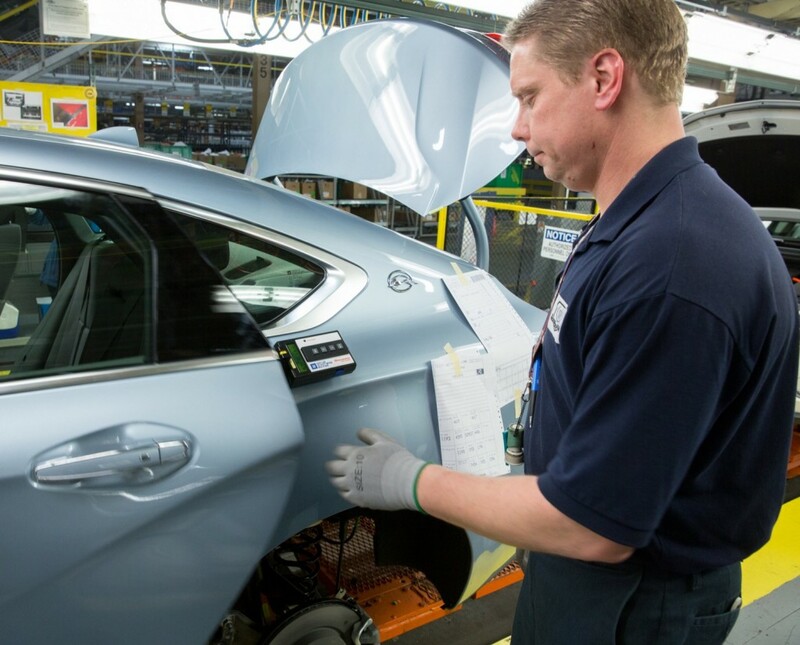 Many of our workers will have the opportunity to switch to other GM plants. However they will need to learn to speak Spanish first. You’re going to blame her for everything going back to 1985?????????? That’s beyond stupid. Why not do a comparison of GM’s market share between now and 1985. And show Americans making Asian cars their top choice going back decades. Your auto industry has moved to Mexico and China due to American trade policies and consumer choice. Get over it. It’s stupid not to place any blame at the feet of GM for looking their own market share. not having resources to shop for new competitive suppliers. They are now stuck with their current suppliers, high costs, warts & all. Reduces competitive pressure on current suppliers which is bad for GM in the long run.